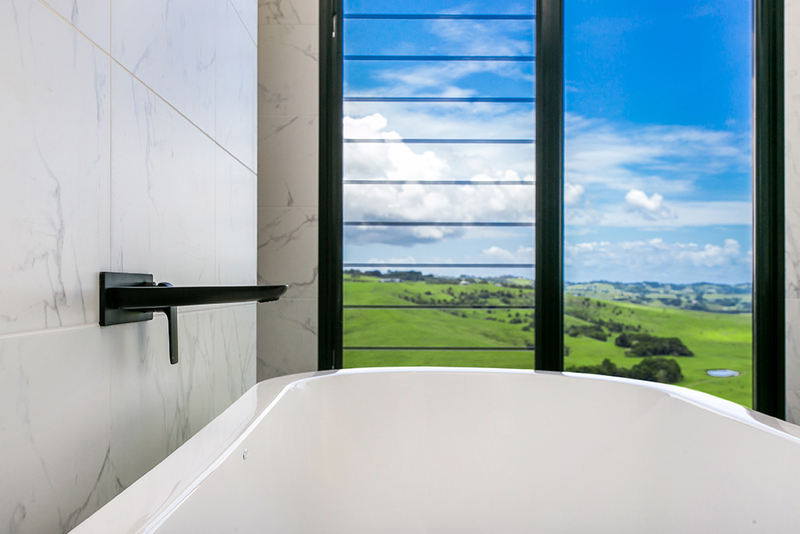 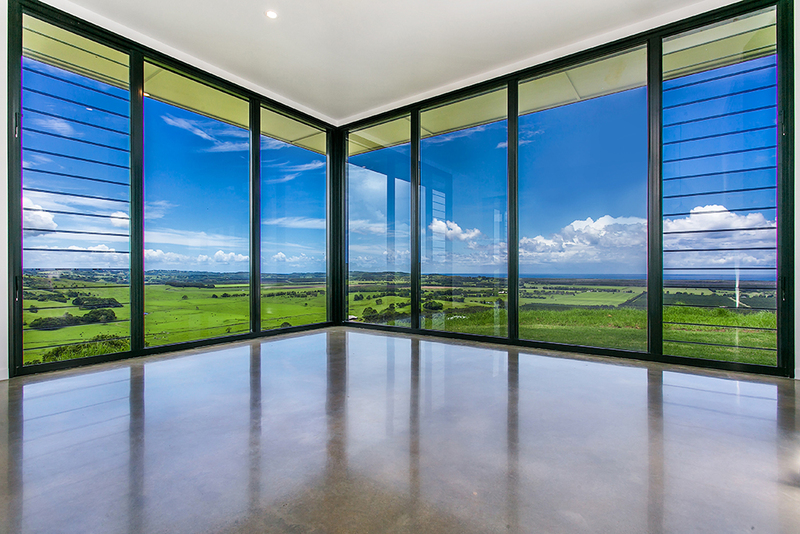 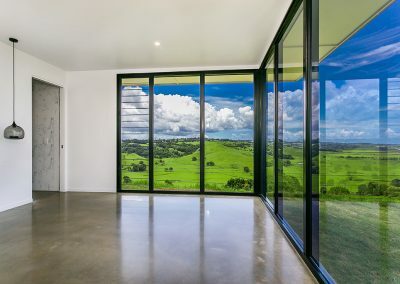 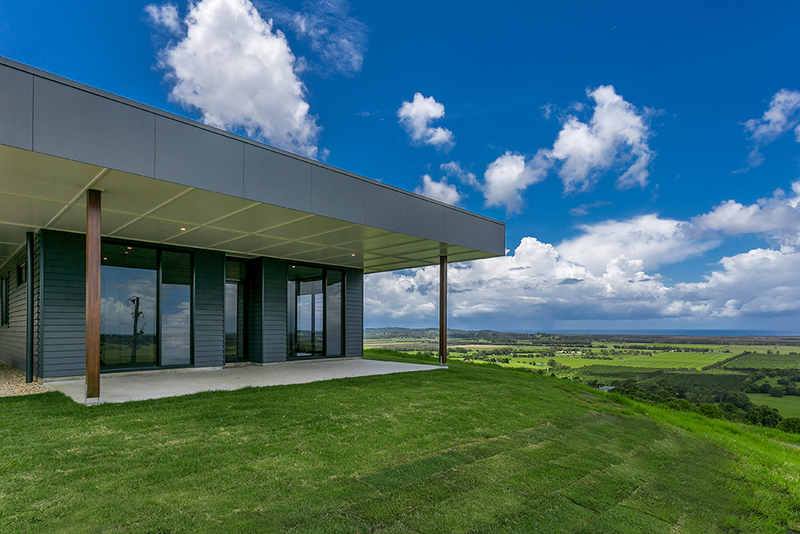 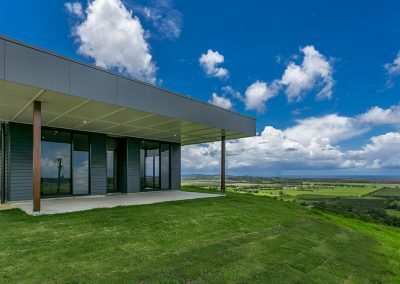 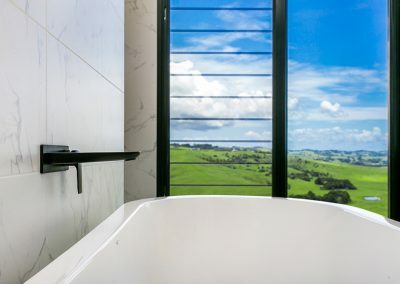 This home construction project located on the hill at Newrybar has picture-perfect views all the way to Lennox Head on a clear day. Northern New South Wales builder, Brett Harley teamed up with Versalite Windows to deliver a beautiful open planned home fit for the whole family to enjoy. 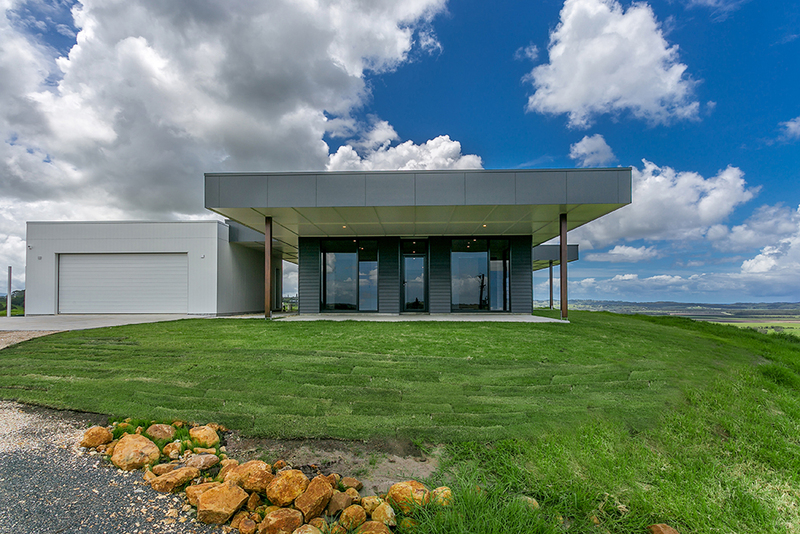 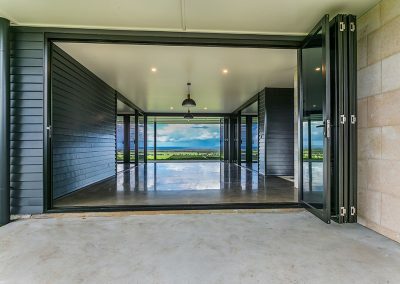 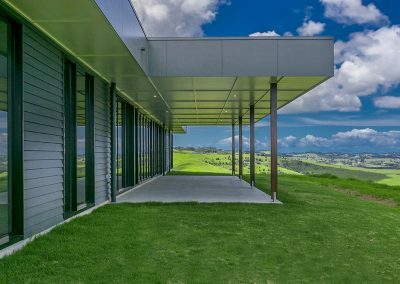 The hilltop home has been designed in two wings, linked via a ‘breezeway’ and has been constructed with an easterly orientation to maximise light, air and outlook. 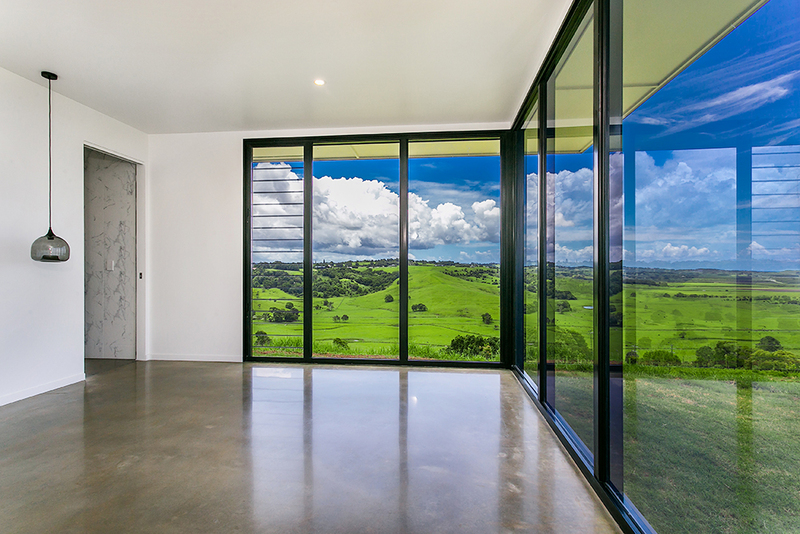 The use of large fixed glass panels and Breezway Altair Louvre Windows allows occupants to feel connected to their natural surroundings through the unobstructed views. 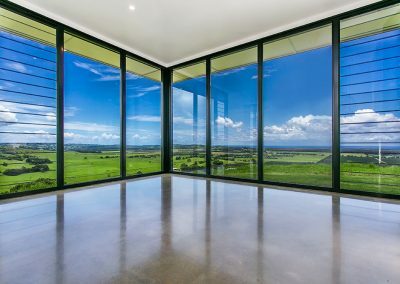 Although the vastness of glass presented a few challenges for the builder due to wind, glare and temperature control, Brett was able to overcome these through the superior design and performance of Altair Louvre Windows and the use of tinted Low E glass products supplied by Versalite Windows. 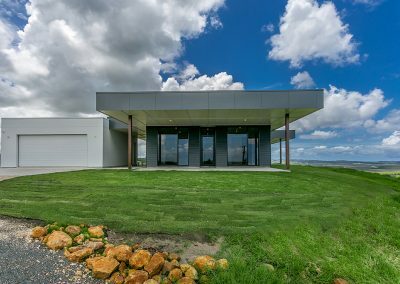 Brett was also mindful of privacy even though this was not an immediate issue on the acreage site for the family. 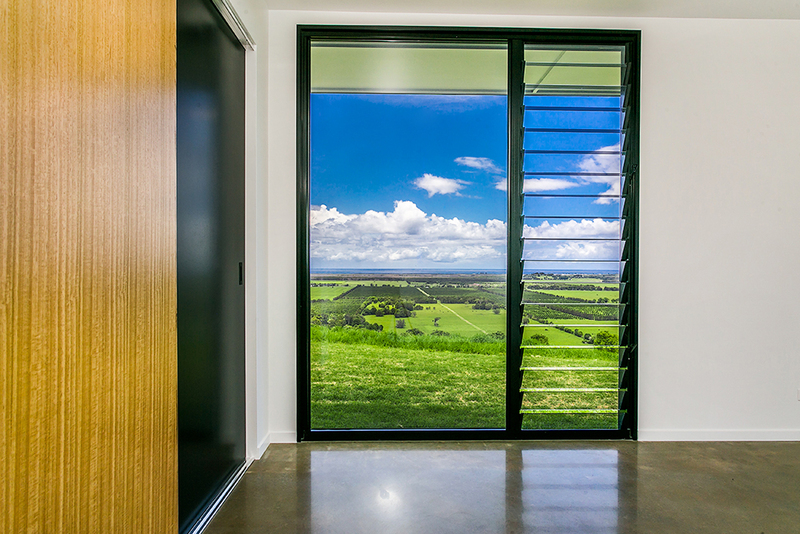 “I am always looking at new ideas that will add to a house’s longevity and energy efficiency” stated Brett Harley. Through the use of energy efficient Altair Louvre Windows, alongside bi-fold doors and fixed glass panels, the outside can be brought in and coastal breezes captured to keep the home comfortable, yet seal tight when closed to ensure protection from storm fury. 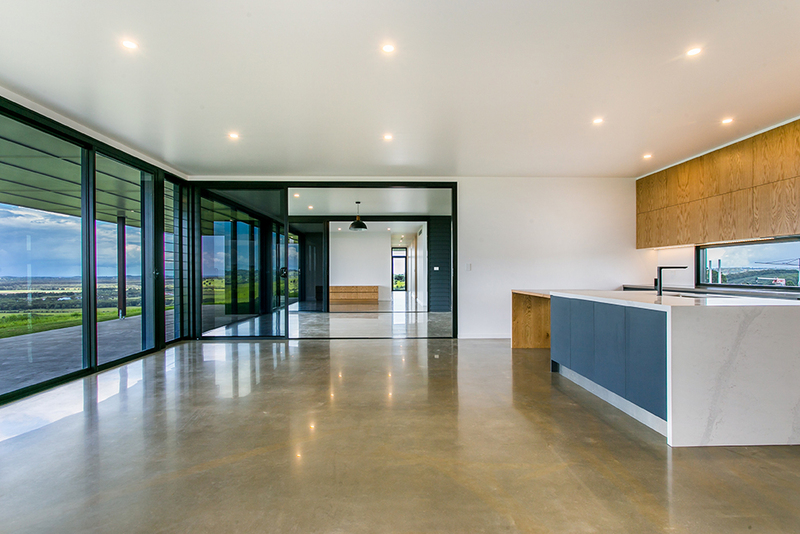 “Versalite was great to work with on this. 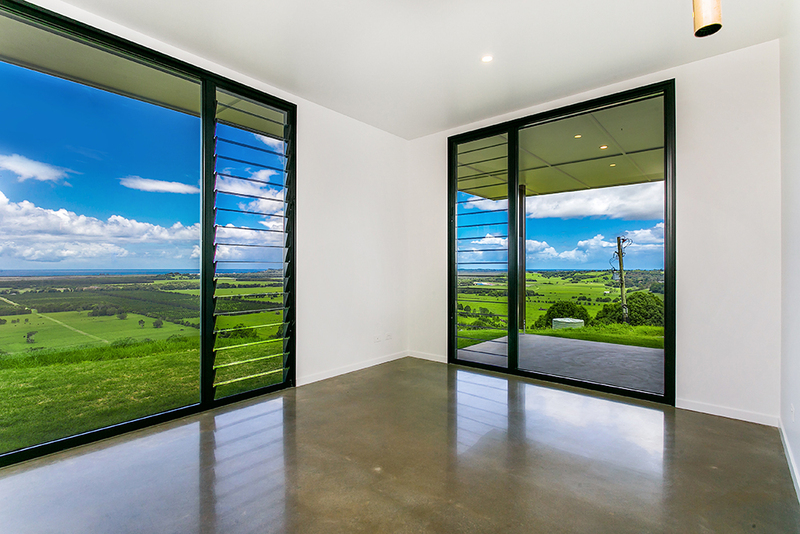 I needed to be confident that the window and door products not only looked good but also withstood the worst of winds. 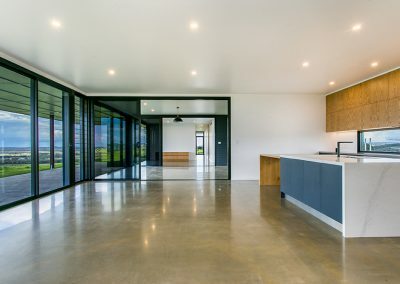 As well as using an alternate method of construction, I needed Versalite’s flexible custom design and experience,” explains Brett, who’s been building for more than 20 years. 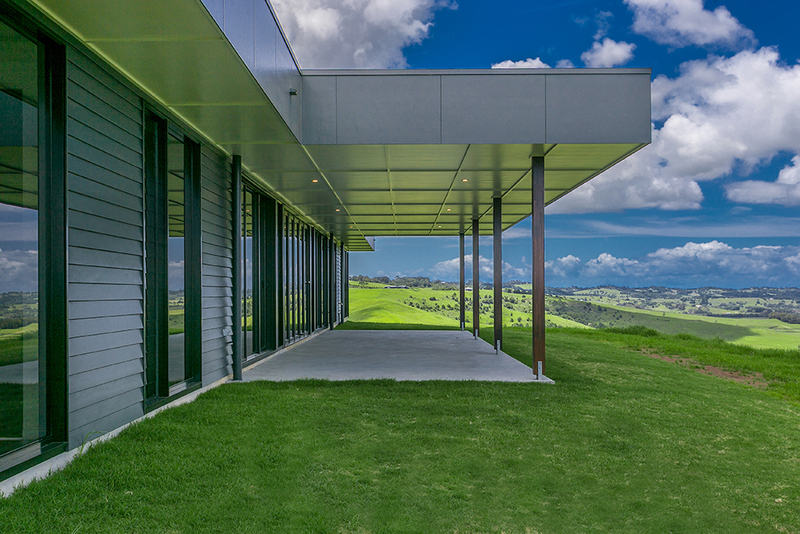 Together, Brett Harley and Versalite have delivered an outstanding result that optimises views, breezes, durability and comfort no matter what time of year.